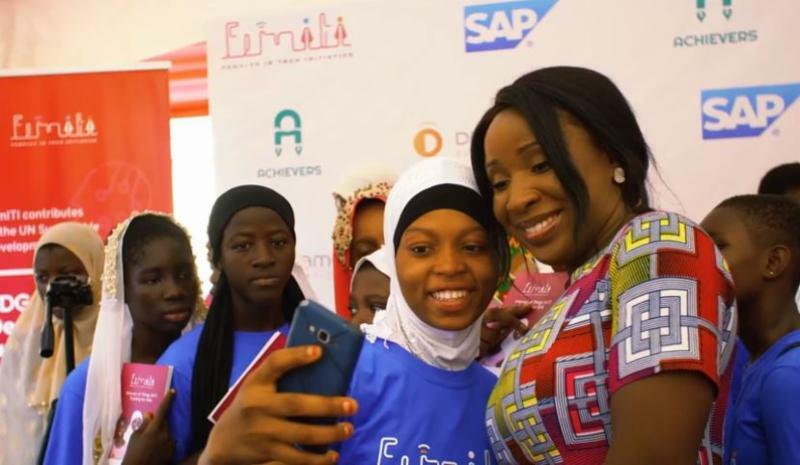 WITH a significant drop-out rate of girls from primary school to secondary school and college, one new initiative in Ghana aims to improve the country’s innovation, competitiveness and productivity by bringing more girls into the formal digital fold. A report by the World Wide Web foundation found that women in poor urban areas in developing countries are 50 percent less likely to use the Internet than men. FemiTI is a project initiated by the DreamOval Foundation that aims to train young girls to develop problem-solving skills through coding and robotics and empower them to facilitate technology creation to generate opportunities for Societal Transformation, thereby ensuring inclusive and equitable quality education. The first edition of FemiTI has just been concluded in partnership with SAP, the market leader in enterprise application software. According to reports, 75 percent of girls in Ghana attend primary school, but there’s a significant drop in girls in high school and college. The DreamOval Foundation believes this gap can be bridged through the active development of women by introducing them to STEM-related programmes. Does Sub-Saharan Africa need another refinery? DRC: the next emerging economy?